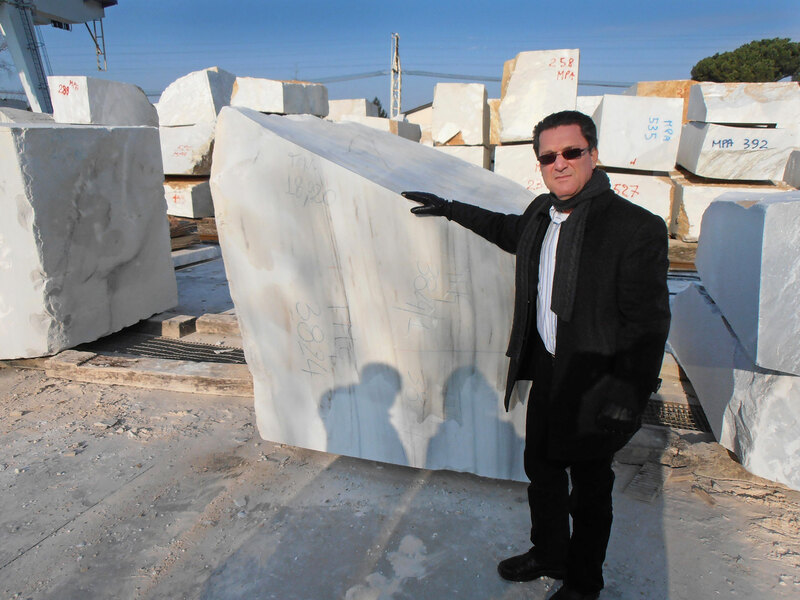 Jose Ubilla, owner of Real Stone & Granite in Fort Pierce, inspects marble at a quarry in Italy during a recent buying trip. 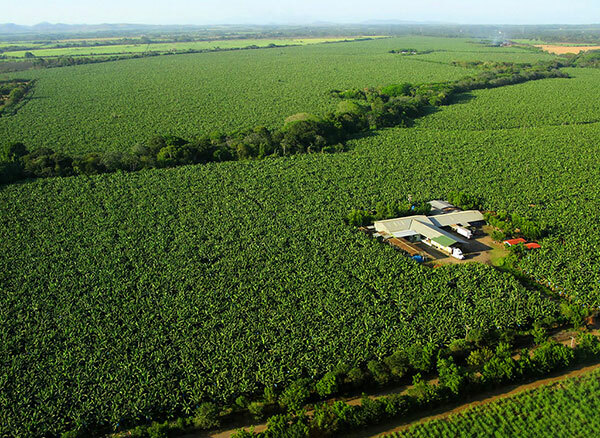 In addition to his stone business, Ubilla also co-owns a 400-acre banana plantation in his native Nicaragua. Many people know Jose Ubilla as the owner of Real Stone & Granite Corp., one of the largest stone businesses on the Treasure Coast. But what they may not know is that he has never strayed far from his farming roots in coastal Nicaragua. He continues to own and operate his family’s banana plantation, Coquimba, which has been in the family for four generations. Ubilla, 58, grew up in the town of Chinandega in the agricultural heart of Nicaragua, where sugar cane, bananas and citrus were the primary crops. He and his parents and nine siblings lived next door to his maternal grandparents, who had a 300-acre farm that primarily grew cotton during a time when Japanese demand for the product was steadily increasing. Ubilla’s father, Pablo, who died when Ubilla was 11, owned a cotton mill and also managed a portfolio of farms. In the mid-70s, Ubilla’s widowed grandmother rented her farm out under a profit-sharing arrangement to the Dole Food Company, which grew bananas on her land. Just before Nicaragua plunged into civil war in 1979 and the Sandinistas overthrew the government of Anastasio Somoza, Ubilla left for the United States, first to study English in Glenside, Pennsylvania, and then to attend college at the University of Southwestern Louisiana, now known as the University of Louisiana at Lafayette. “I went to school for agricultural economics and then the revolution came in 1979, the Somoza government was ousted and my whole family became exiled,’’ he says. The war rendered him a man without a country, and he wouldn’t be able to return to Nicaragua for three years. With no money to continue his education, Ubilla left college in his sophomore year and worked various jobs, including bartending, for several years before heading to Miami in 1984 to work for his brother, Pablo, an architect who also had a tile contracting firm. Tile was just becoming popular as a flooring choice, competing with vinyl, carpeting and wood. Ubilla found himself working more with commercial tile in custom homes than with the natural stone he preferred. “I was working endless hours. We were laying it, cutting it, designing it, templating, sourcing, whatever it took.’’ He married Liliam Duque, a native of Venezuela, in 1986, and they had the first of their three children a year later. By about 1989, Ubilla dissolved Interstone and ran a company called Marble and Granite Crafts in Delray Beach until 1993, when he started Real Stone & Granite in Palm Beach County. At the same time, Ubilla went back to school, enrolling at Florida Atlantic University in 1996 and taking mostly weekend and night classes before earning a degree in business administration in 1999. He moved Real Stone to St. Lucie County — to its current location on Market Avenue in Fort Pierce — in 1999 with the idea of serving the market from Orlando to the north and Palm Beach County to the south, offering natural stone and granite for flooring, countertops, columns, staircases, pool decks and other projects. Ubilla, left goes over design plans with saw operator Carlos Corrales in Real Stone & Granite’s 21,000-square-foot facility in Fort Pierce. The company grew as expected, posting its best volume year in 2006 and employing about 70 people. And then came the 2008 recession, which Ubilla remembers pretty much choked off 80 percent of the housing market. 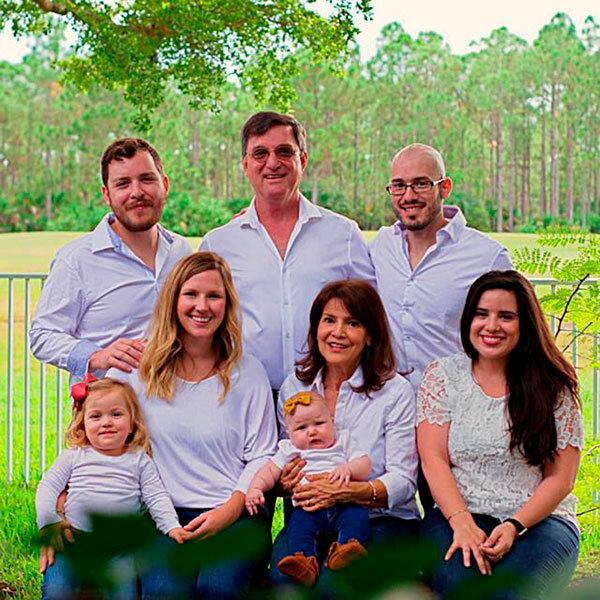 The company never resorted to filing bankruptcy and emerged as a leaner outfit serving a smaller, more selective clientele, focusing on the Treasure Coast and northern Palm Beach County. Ubilla himself went from driving a BMW to a Toyota Prius hybrid during the recession and to a Toyota Avalon hybrid today. Besides its 21,000-square-foot manufacturing facility and showroom in Fort Pierce, the company also has a store at 1420 S.E. Federal Highway in Stuart. 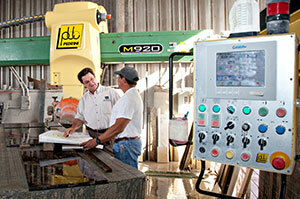 Two of his brothers, Alejandro and Gerardo, work with Real Stone. Alejandro, with him since the first day, oversees operations while Gerardo is in the field working with digital templating. 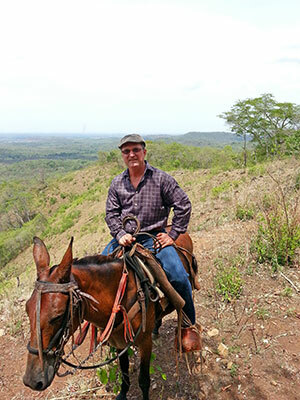 Ubilla explores land for new plantation areas by donkey in 2015. The certification, from Fairtrade International, means that the plantation meets working condition requirements, provides medical insurance to workers and families, has minimal use of chemicals, emphasizes soil conservation, keeps part of the land in its natural habitat and protects water resources. Ubilla’s mother, Esperanza, 89, still lives in Nicaragua, along with five of his siblings, and he visits every couple of months. The visits allow him to stay close to the plantation’s operations. When Coquimba began exporting to Europe in early 2017, it quit selling to Chiquita Brands International. The plantation sued Chiquita for non-payment of 10 containers, and Chiquita countersued for breach of contract. Ubilla says the case is still pending. Weathering the political situation in Nicaragua is also challenging, Ubilla points out. Today, the country remains under the leadership of Daniel Ortega, the leader of Nicaragua’s left-wing Sandinista revolution. Ortega was defeated in the 1990 presidential elections, but after denouncing his communist roots and saying he would seek foreign investment to ease widespread poverty, he returned to power in 2006 and is currently serving a third consecutive term. Large-scale protests against his presidency have led to hundreds of deaths this year. While Ubilla hopes to keep the plantation in the family, the succession plan for Real Stone is not so apparent. None of his three children have followed him in the stone business. Donoso, 31, is in information technology in Tallahassee, Alonzo, 29, is an electrical and mechanical engineer living in Port St. Lucie and twin Mariana works for the Hyatt Corp. in Coral Gables.